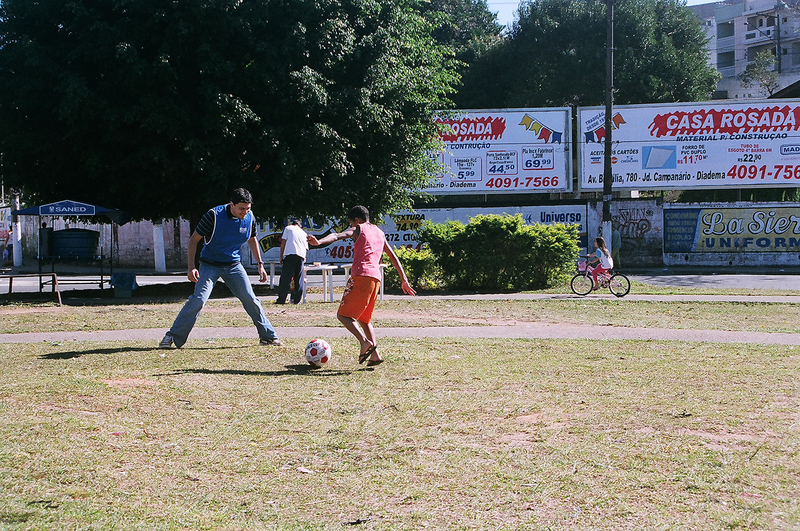 Leading up to the 2010 World Cup games, we were surprised when local leaders in Brazil said “no” to organizing World Cup games-focused outreaches, even after it was announced that the 2014 World Cup would be hosted by Brazil! Instead, they began mapping out a strategic ministry plan to put into play not only leading up to the World Cup games, but afterward as well. 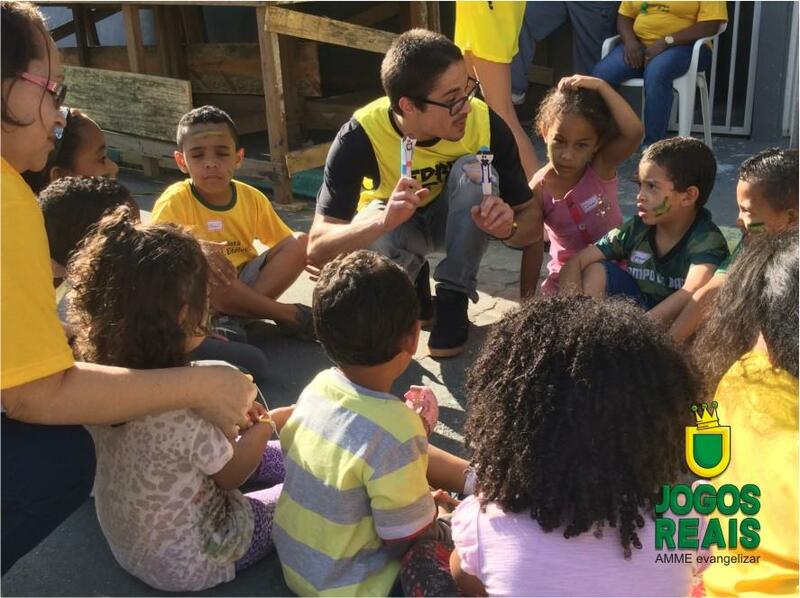 Four years ago, when local leadership began to look at the heartfelt needs of the Brazilian people, they discovered that some of the most obvious needs prevalent in their society were corruption, reflected in every aspect of the society and in family brokenness. Using their research as a foundation, they began establishing strategic partnerships—with organizations like Brazilian Bible Society—and catalyze a movement that they called Play Fair. Together with and through the local Church, they have been architecting a strategic plan to help churches prepare for how to effectively share the Gospel, which is the only remedy for the root cause of the symptomatic needs of the Brazilian people. They began laying track, putting the infrastructure in place via churches and strategic partners working together in collaboration for two key outcome-based programs that would be effective at catalyzing change in their nation through the lives of young people. 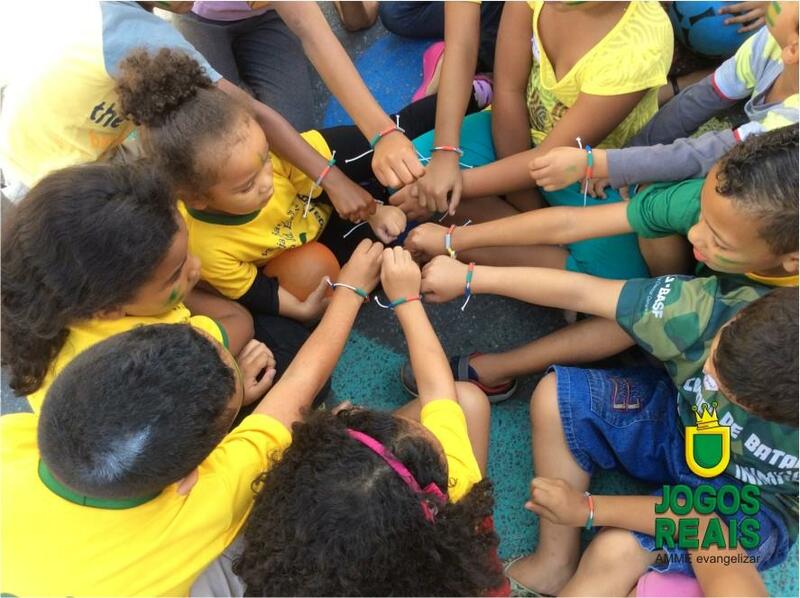 To help the Church reach elementary aged children, they developed the Royal Games curriculum. Using their country’s love of sport, they modified an already successful program, the Aquila Circuit, that shares biblical truth in progressive phases, making it easier for children to understand and memorize Scripture passages. The new curriculum uses games to anchor the concepts taught by the Bible stories. While this curriculum is not specific to any one event, because it leverages the love of sports, it can easily be used for outreaches during a world-wide sporting event such as the World Cup games! On a deeper level, it can be used for many years to come as a mechanism for beginning to reach the next generation with a message of hope. The Royal Games curriculum is based on 2 Timothy and contains a twofold message. Speaking to the country’s widespread struggle with corruption, this curriculum highlights the importance of personal accountability by encouraging youth to understand that you won’t get the crown if you don’t play the game with integrity. It also elevates the importance of relationship with Christ—promoting the understanding that you are a friend of the King, and what that means to who you are, your confidence, and how it should change how you think about yourself and act in relationship to others because you are in Christ. In essence, in Him, you are royal—no matter what your family history or makeup. This truth changes everything, especially for those who come from broken families. Secondly, they have mobilized the next generation of youth ages 16-24 to empower them to practice their spiritual gifts in serving the Church. Previously, this age group had simply been entertained until they were adults, producing weak Christians who were not connected to the vine and therefore not producing fruit. The vision of this program is to ultimately help cure their country by raising up new generations in the Church through a pointedly designed and executed internship experience. In a nutshell, teams of 20 interns are assigned to a church that is in need of helpin evangelism outreach. The interns are prepared to work through dramas, preaching, teaching, music and other methods. These teams are hosted for a little over a week: 6 days of intensive training followed by 2 days in “the field” with a church getting to practice what it means to be the Church by serving and evangelizing using different gifts and resources. While it has been painfully hard for our local leaders to watch the corruption in their government and the stress and struggles of prep for the games, it has been encouraging to hear their heart in response to it. I was humbled by the way one local leader shared that although his heart is breaking and weeps for the corruption and unfairness that the World Cup is exposing in his country, he is trusting that maybe this is God’s way of preparing the soil for the Gospel to move forward and make a difference. He is searching for the good in their current situation, and trusting our Lord to redeem it. And that, right there, is the message of the Gospel: exposing sin and offering a remedy for the heart of the issue. Local churches are ready—despite the uncertainty of how the games will go, the safety in proximity to the stadiums and the state of the locals and attendees of the World Cup, they are determined to minister to kids through their Royal Games outreaches. The World Cup will come, there will be a winner, then a party. Then it will be over. But the programs being launched in Brazil have been designed for short and long-term impact with the intended outcome of healing in their country. Praise God for that!